We always seek help from the grand mothers for easy and valuable home remedies for most of your problems. As their ways of dealing a situation may be old but are always authentic and effective. So if you approach them for a easy solution of your storage problem they would definitely recommend you to bring a chest in the house. No doubt that the chests and trunks are the old fashioned accessories used for the storage but still they can serve you immense practicality. 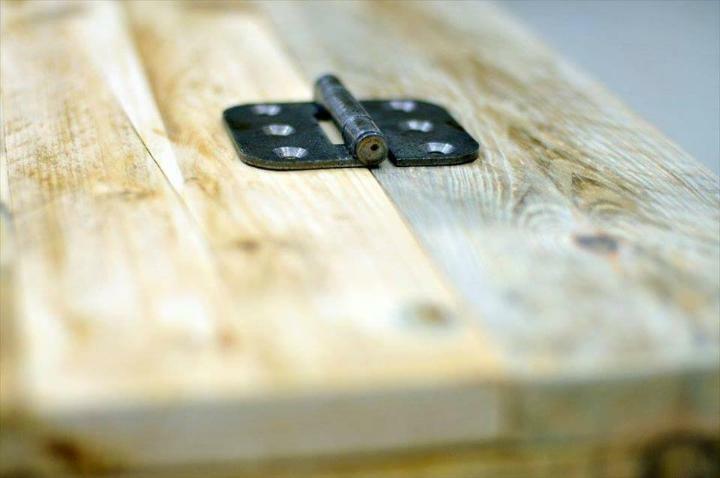 And with pallets you can make your own DIY pallet storage chest with a little tool work as it is extremely easy and feasible to build. When you have assembled the free pallets cut them down into slat pieces to from the chest and the lid. You would also need some metal hinges to support the lid and the whole construction firmly with each other. To make it a fusion product of old and new, stain it in some dazzling and striking hues of paint. 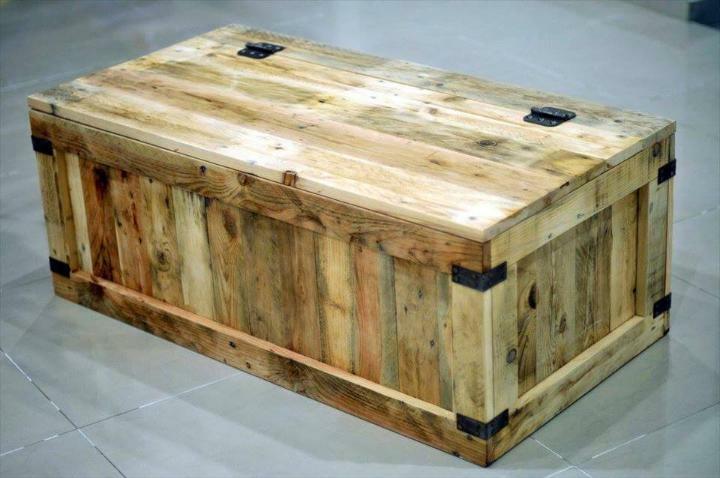 A chest has been never out of fashion and have been used for a long time to store and house the important as well as extra stuff of the house. 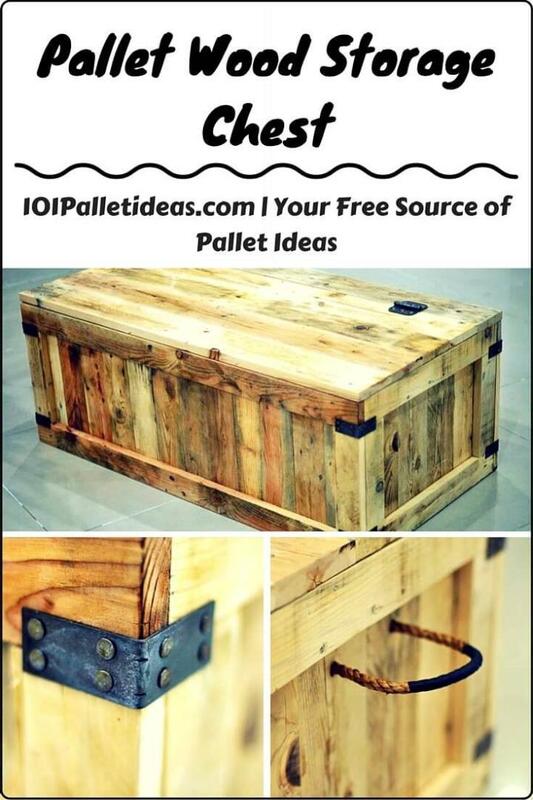 Now you can use pallets to have your own chest and that too at free rates. To shape up this pallet wood chest has been cut into the long slat pieces to form the base, sides and the lid of the chest. Ans metal hinges have been used to support the lid with the chest. 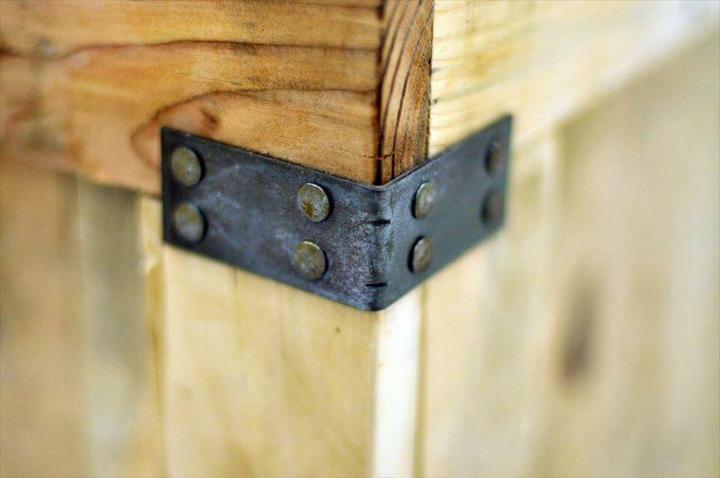 If you are going to store and hide some heavy items in the chest then you can make it more sturdy and strong using these metal braces at the corners. 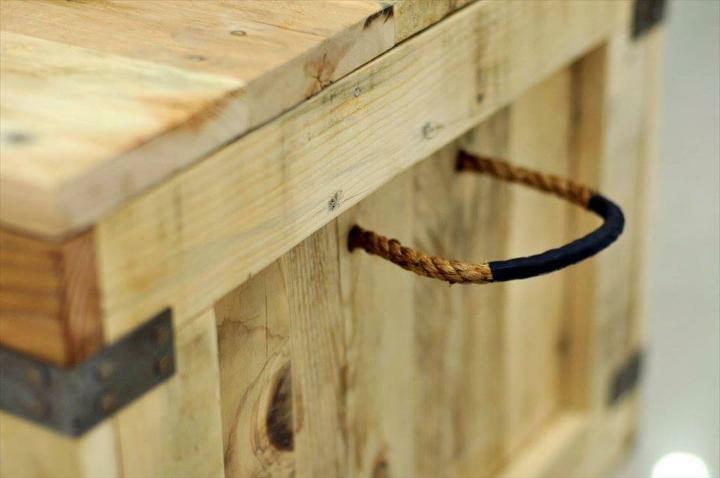 As a chest full of the housed items and stuff would be heavy to lift up so we have supplied these rope handles at both sides of the chest so that it can be lifted it and moved easily from one section of the house to others.